Goldbridge was established in 1987 and seeks to minimise the level of social and family dysfunction, disease, injury and premature death, primarily associated with the use of alcohol and other drugs. Our methodology is based on a bio- psychosocial understanding of addiction and we are committed to the delivery of professional services emphasising the value and worth of the individual. Addiction is treated as a system/family problem; addressing the mind, body and spirit. This is achieved through open communication and teamwork by multi-disciplinary staff committed to the principles of recovery. Pre-1987: Goldbridge Rehabilitation Services was originally established as a fairly unstructured suburban Halfway House for men with chronic alcohol issues. 1987: A large two-story building in the CBD area of Southport was leased through the Gold Coast City Council with accommodation for fifteen (15) people. The first professional clinician was employed. 1988: The constitution was registered. Volunteers were trained in the management of a residential service, women were included as clients for the first time, and specific management and program structures were introduced. 1989 – 93: Basic property improvements were made to create a more conducive environment for residential rehabilitation, and a more holistic approach was introduced. This also saw an increase in bed capacity to twenty five (25). 1994: Around this time the first grant through Queensland Health was received, which allowed for a little greater fiscal security and program development, and a shift away from trained recovering addicts being the front-line counselors. 1995: The first Half-Way House was established in Sorrento, in order to accommodate clients in their transition to independent community living. 1996: Two additional Half Way Houses were established. 1997: Major community awareness activities were undertaken, which engaged significant community support. 1998: Received NIDS funding with which employed sufficient workers at award rates, and moved towards a bio-psychosocial model of treatment within the setting of a drug-free Therapeutic Community (TC). 1999: Undertook an independent review of the Program and produced a Feasibility Study concerning Future Directions. 2000: An additional five (5) bed spaces were provided to specifically accommodate clients referred from the pilot Drug Court Program. 2002: The residential facility at 16 White Street (Southport) was purchased, and concept plans developed for its extension and total refurbishment. A large commercial building was leased close-by to compensate for cramped conditions at the residential facility, and as a base to develop further Outreach Services. Vacant Crown Land (at Arundel) was assigned to Goldbridge (by the Gold Coast City Council), on which to eventually relocate the residential program, with an increased capacity to better meet local needs for rehabilitation. 2004: A new modified therapeutic community model was introduced. 2005: An opportunity to secure land through the council wasn’t a viable option and the search for a new location in the Northern Gold Coast Region presently continues. 2008: Goldbridge was refunded to provide Improved Services for clients with Comorbid Disorders under special funding provided by the Commonwealth Department of Health and Ageing. 2009: Goldbridge was funded by the Queensland Department of Health. Goldbridge is pursuing relocation options with a partner organisation to the west of its current location. 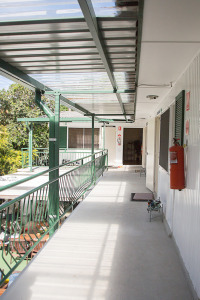 2010: Goldbridge Outreach Service (GOS) program moved from 9 Scarborough Street to 50a Nerang Street, Southport, due to Main Roads Department commandeering the GOS property for the Light Rail project office. 2012: The Goldbridge Outreach Office was closed by Goldbridge and the services moved to the Therapeutic Community (TC). Management moved from the TC to a new Corporate Office in 10 Garden Street. As a result of feedback, planning and review, the Transition Program was reintegrated into the TC model. 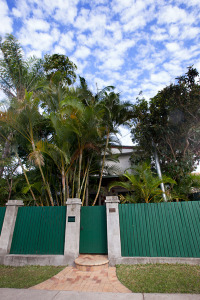 The GOS office at Nerang Street had become very difficult to access due to the construction of the Gold Coast Light Rail Project. Notice of funding cuts meant that the Family Program needed to focus back on TC clients. 2013: 25 year celebration for Goldbridge.